One of the major leaders of the anti-racism movement is a privileged, white male. Let the irony of that statement sink it. But it is true. 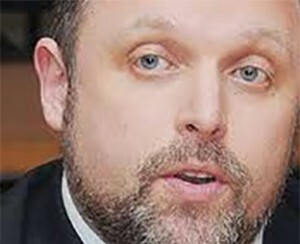 Tim Wise is an author of the book White Like Me, and is a well-known activist who has had countless appearances on television. And at CCSU’s Bridging the Gap: A Dream Deferred event on Dec. 10, he made some great points that really stuck out to me. The very fact that he is a leader for this movement is ironic. This is an important point. Why is it that a white male like Wise should be the leader in this? Of course, it is good for someone like him to be able to come out and admit that he has privilege. I am a white male, too and I am every bit as privileged as he is. But me coming out and admitting that does not solve the problem alone. The truth is, we need to take the issues seriously. We need to stop pretending the issues don’t exist. People are talking to us, but we need to learn to listen. Race and poverty are tied together. This is an obvious statement, but one that needs to be said again and again and again. We live in a system that abuses people and impoverishes people so that the rich can get richer. Race almost is less of the reason, and more of a result. The truth is, people of all races and ethnicities are suffering. Right? Not exactly. While it is true that not all white people are wealthy and successful, there are still major disproportionalities between white and colored people. Being white means that statistically speaking, I am more likely to have a better education, more likely to have better jobs, and therefore more likely to make a good living. Even if that does not mean that it is true for everyone, it is still overwhelmingly true statistically speaking. Not only that, but African American men are significantly more likely to go to prison, and to serve longer sentences, even though they do not commit crimes at any worse rate than that of white people. These disproportionalities are due to a structural system that is designed to keep certain types of people in place so that other types of people can stay in power. The simple fact is, white people start at an advantage, so it is no surprise that that is where we tend to finish. Having privilege does not make you a bad person, but it is to not abuse it that makes the difference. Being white does not make someone a villain. Privilege simply means that you benefit from the system that you are born into. This is purely by chance–you do not choose where you are born. You have no say in your ethnicity, gender, or social class at birth. But by using your privilege to gain upward mobility, or even to stay at the top, could make you a perpetrator of the system. This is a difficult step for many people. Admitting and accepting that being indifferent is not good enough can be difficult. After all, we all just want a good life, and to be able to take care of our family. If it were right there in front of us, why wouldn’t we take it? But that is what compassion is about. It means not taking for yourself when you can see others who are in need. It means that even though you are in a position of power, you choose to help those who are below you, and to think of them first. And this is especially hard to do when we are all so separated from one another. This was the last major point that Wise made, which impacted me. White men–myself included–do not know enough about other people’s lives. We do not see what they see. We are, for all intents and purposes, blind to it. The action we need to take is to see. We need to open our eyes and see the abuse and turmoil that many people live through because of no fault of their own. This is what racial inequity is. It is a system that is rigged so that certain people win, and others lose for no reason other than how they were born. And it would be truly despicable to stand idly by and let this continue.